I am writing an EP exclusively for this fundraiser, so be sure to chip in! More info in the link below. 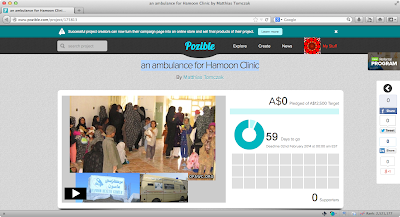 "Latifa says that a second hand ambulance, fully equipped with a life support system, can be bought in Kabul for around $12,000. 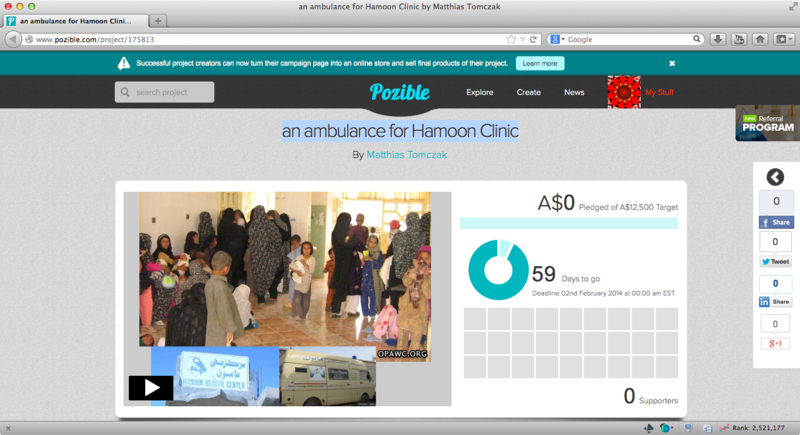 Can you help me to raise that amount, so that SAWA-Australia can buy Hamoon Clinic a new ambulance? The people of Afghanistan and I will be forever grateful for your help. On behalf of the women of Farah province, thank you! We need a few dollars to cover the expenses of the crown funding drive, so the total amount I am asking is $12,500."